At Ligna 2019 Baumer will present a revised system for the inspection of glued and lasered edge bands on furniture parts. For example, too high edge bands or even geometric features such as grooves and drill holes are reliably detected. In addition, defects such as edge breakouts of veneered edges or on real wood are visible. 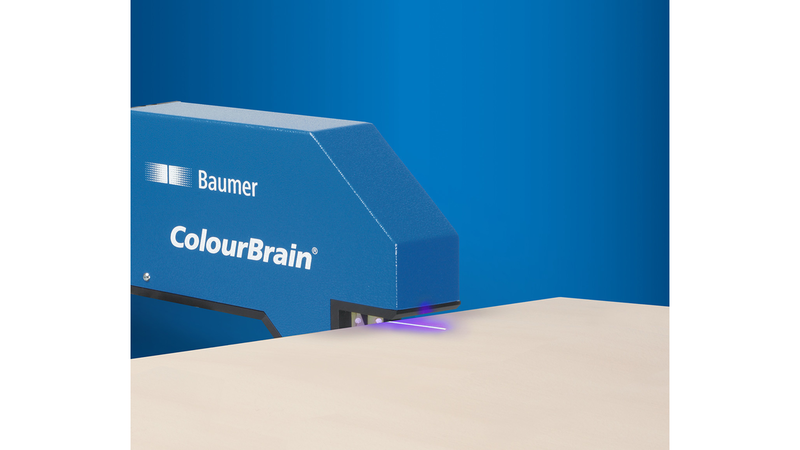 The ColourBrain® Edge 3D system can be used in both series production and batch-1 production for defect detection and process optimization, complementing the ColourBrain® Furniture 4.0 system in an perfect way. As part of the product care, the heat dissipation has also been optimized so that the size of the system is significantly more compact. The outstanding strength of the ColourBrain® Edge 3D lies in the detection of topographic defects. For this purpose directed line lasers are used.